Our Hi-Energy Plus™ with Peanuts attracts colorful nut-loving songbirds of all sizes to your backyard. 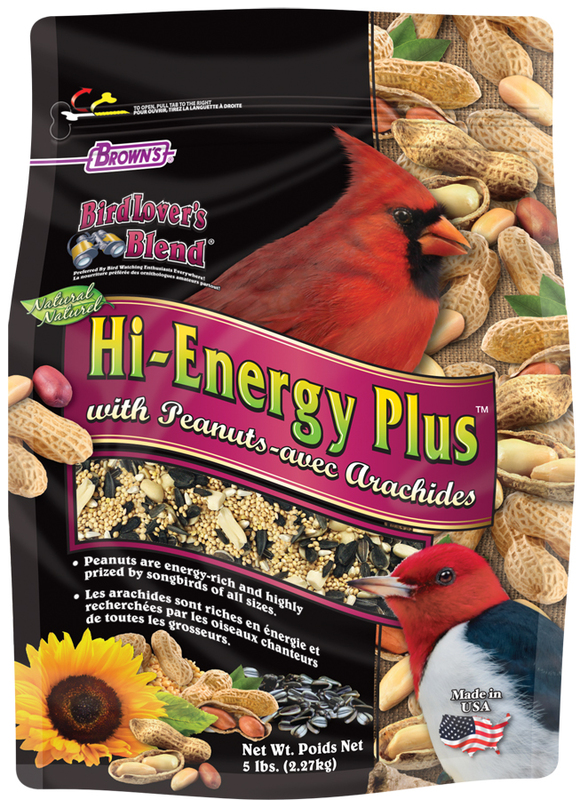 Our nutrient-rich blend is packed with shelled peanuts and prized by wild birds. Each nutritious bite is packed with high fat and energy! A Gourmet Blend! This is not your ordinary bird food! It’s rich in peanuts that birds crave. 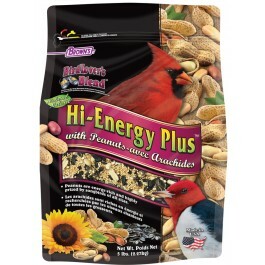 Plus we added high fat and energy containing black oil sunflower seeds, striped sunflower seeds, and our premium white safflower seeds birds love to eat. No Fillers & No Waste! Our blend is free of filler seeds and grains that birds dislike and often discard. There’s less outdoor cleanup because more food is eaten... that makes it more economical too! Attracts Songbirds of All Sizes! Our unique blend of delectable high fat seeds with high protein and fat peanuts attracts blue jays, cardinals, woodpeckers, nuthatches, titmice, chickadees, cardinals, and many more. Year-Round High Energy! It’s power-packed with protein and fat from oil seeds and peanuts that backyard birds need in critical seasonal times to survive and flourish. 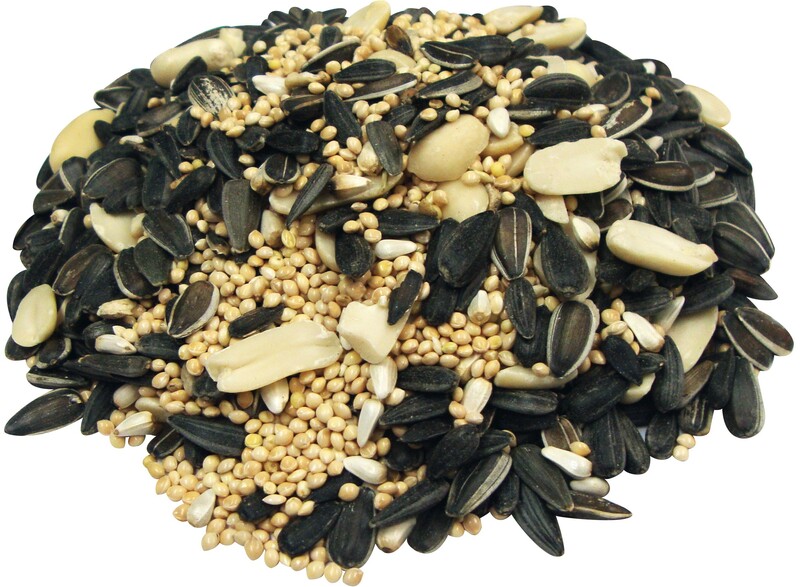 White Proso Millet, Black Oil Sunflower Seeds, Peanuts, Striped Sunflower Seeds and Safflower Seeds.